We absolutely adore waxing. It’s one of our founder Jennie’s passions (so much so that she’s won national awards for it!) 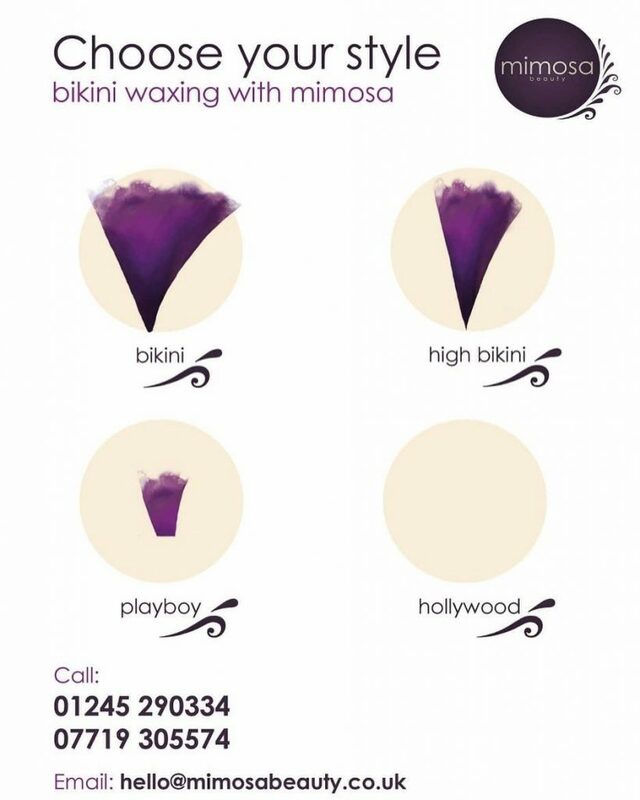 and each one of our waxing specialists here in Chelmsford is trained personally in her bespoke waxing method that’s specifically designed to give you the smoothest, longest-lasting wax — with virtually no pain. Strays and shadows are a thing of the past with this quick, simple treatment. A good brow shape can take any look to the next level. And since it’s one of the quickest treatments to have done, you can squeeze in some quality me time no matter what your day’s looking like. Swimmers and sun lovers especially love the underarm wax — but it’s really perfect for anyone who’s just tired of shaving. Arms a little rough for your taste? Let us smooth the way with this quick treatment. An absolute classic. No more shaving nicks, no more upkeep, just luxuriously soft legs for weeks on end. Just the sides of the bikini line. Perfect for those who like the natural look, but still want a bit of a tidy. A strip of hair down the front, but cleaned up on the sides. The perfect compromise between natural and groomed. A strip of hair left at the top, but all the hair off the lips. For times when you want to channel your inner vintage siren. All hair removed from both the front and back. Beautifully bare, the Hollywood is especially popular in the summer, before big dates, and with mummies to be.